Members of the Bay Area Jewish community have expressed deep concern about widespread reports of anti-Semitism and anti-Zionism within the leadership structure of the national Women’s March, and have asked for more information about local marches’ leadership and stances. The national and local marches have always been completely separate, and local marches have gone to great lengths to disavow the anti-Semitism and anti-Zionism seen at the national level. Many Bay Area marches have Jewish women involved in the core leadership and have designed inclusive programs in which our community should feel comfortable participating. Begun as “The Women's March on Washington,” Women’s March demonstrations were first held worldwide on January 21, 2017. In America, it’s estimated that 1 in 100 people participated that day (as many as 4.6 million total), making it the largest single-day demonstration in recorded U.S. history. The stated goal of the march was to support gender equality, civil and reproductive rights, and other feminist issues. This zero-sum attitude – that one cannot be Zionist and feminist, that one cannot be Zionist and for Palestinian rights, that a Zionist cannot be included in the feminist movement – is hypocritical. Calling for intersectionality but disallowing Jews from expressing our multiple identities is anti-Semitic. Furthermore, Zionism is the belief in the right of Jews to self-determination and sovereignty in their ancient homeland of Israel. It does not presuppose support for any specific government policy in Israel, nor views on women’s rights or Israel’s foreign affairs. When the Jews alone – among all ethnic and religious groups – are assessed the litmus test of disavowing a fundamental component of their creed before being allowed into a social justice coalition, this is anti-Semitism. Anti-Zionism, the rejection of the right of Israel to exist as the homeland for the Jewish people, has become a cloak for anti-Semitism on the far left. The national Women’s March’s own unity principles insist that it is “committed to dismantling systems of oppression through nonviolent resistance and building inclusive structures guided by self-determination, dignity and respect.” That these principles have seemed to include all groups except Jews and their right to seek self-determination and safe haven from oppression, we believe shows anti-Semitism. 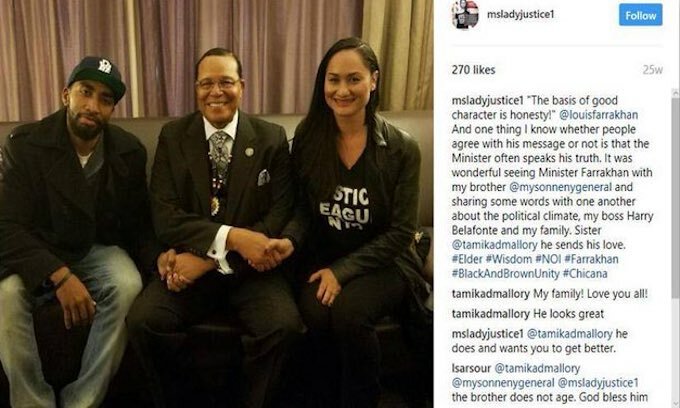 The same leaders later apologized in a March 2018 statement and denounced Minister Farrakhan’s anti-Semitism, transphobia and homophobia. A simultaneous piece came out by Mallory, defending her affiliation with him. Though another statement was issued on November 8, 2018, and still another on November 20, 2018, the damage was done. The principal and former founder of the march bravely went public with her account of anti-Semitism being sowed from the beginning, and called on the remaining leadership to step down. National Women’s March leaders rebutted, explaining they were trying to decide whether Jews should be counted as privileged white American or marginalized minorities, a revealing oversimplification. Through words, actions and equivocations, the national Women’s March leaders have discredited themselves and harmed the bold and critically important vision of an inclusive movement for women’s equality. We are grateful for the friendship of influential celebrities and opinion leaders who stand as allies in calling out this duplicity and who have insisted on meaningful inclusion of Jews. We are also thankful that the leaders are accepting responsibility for the harm that has been done. JCRC will not participate in coalitions which espouse prejudice or hatred toward Jews or any other group. Doing so would be anathema to our values of inclusion, pluralism and civility. Anti-Semitism and bigotry must be opposed whether it is in the national Women’s March on the left or in the Charlottesville white supremacist march on the right. The Women’s March is not monolithic. Regional Women’s Marches are separate entities from the national organization. Legally, financially and in terms of governance, leadership and coalitional efforts, local marches are quite simply separate from the national entity. What they share is a brand name. And though countless regional marches (including Bay Area ones) have gone to great lengths to disavow the sentiments expressed by national march leaders and to formally disassociate themselves, the brand of local marches remains negatively affected. We are grateful to those Women’s March regional chapters and leaders, as well as many individual supporters, who are taking meaningful steps to ensure that Jewish women can express their multiple identities and proudly contribute to and participate in local marches. And just as national is not the same as regional, so too are there differences among local marches within a geographic region. And from year to year, the rhetoric at each changes as well. At the 2018 Women's March in Oakland, an official speaker gave remarks that echoed the hatefulness of Sarsour's: “Let us remember, just as racism has no place in the women’s movement, displacement, occupation, war, imperialism and Zionism have absolutely no place in the women’s movement.” She went on to describe Israel, at length, from this perspective. And yet, this year, in response to the controversies at the national level, the Oakland march issued this statementdenouncing “all forms of bigotry and hate, including racism, sexism, antisemitism [sic], Islamophobia, homophobia, transphobia, classism, xenophobia and ableism” and hosted this training on anti-Semitism and other forms of hate, and how people with divergent views can work together on common cause. The unity principles of Bay Area marches aligns with the consensus in the Bay Area Jewish community for racial justice, economic justice and immigration. The “Bay Area Women’s March,” a legal entity comprised SPECIFICALLY AND ONLY of the San Francisco and San Jose chapters, has been quite different. So too have the local individual chapters themselves in San Francisco, San Jose, Contra Costa County and the Tri Valley area, which have all made meaningful efforts to engage Jewish women who represent mainstream Jewish views – without assessing a political litmus test on Israel. These Jewish women have been involved in the leadership of these chapters, helped design the marches and ensured that there are Jewish women included as formal speakers, that Jewish women are listed in the unity principles on the website and that Jews will feel represented when they attend. The Contra Costa County Women's March, whose core leadership includes a significant number of Jews, has been particularly inclusive of Jews and of women of all backgrounds. The rabbis in Contra Costa County are involved in ongoing interfaith collaborative efforts with the Women’s March. 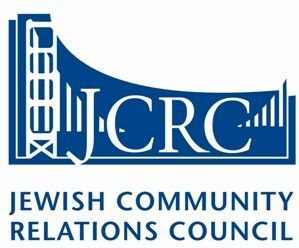 JCRC is speaking and meeting with leadership from the various Bay Area Women’s Marches to encourage their continued commitment to prevent anti-Semitism from seeping into the 2019 marches, and to reinforce that their stated principles must remain sacred, not sullied by hatred and divisiveness. We believe it is important to be engaged in coalitional work, particularly as Jews who believe in Israel’s right to exist. Engagement, civil discourse and working toward a shared vision even when it may be challenging is important. We believe that the local marches (listed below) are working to uphold their unity principles and the critically important agenda of the marches. Their disassociation from the national controversy, denouncement of statements against the Jewish and LGBTQ communities, and important work to ensure Jewish inclusion is to be commended. We hope that Jews who choose to participate in 2019 will find it to be a meaningful and rewarding experience. March: The local marches linked below have disavowed anti-Semitism and distanced themselves from the national group. Although Jews who observe Shabbat may not be able to physically get to a march or may not feel comfortable marching, we encourage Jews who do attend to do so while proudly expressing all aspects of their identity, including being Jewish. Those who can and do march may feel it is a way to express Jewish values of justice, equality and community. Pray: Those attending the San Jose march are invited to attend a Shabbat Shirah service at 9:30 a.m. at The Recovery Café, behind City Hall, before the march. 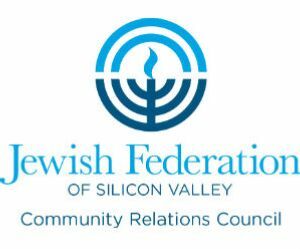 It is organized by the Silicon Valley JCRC and will be led by JCRC Director Diane Fisher. Those attending the Contra Costa County march are invited to attend an interfaith service at 10:00 a.m. in Civic Park near the gazabeo in Walnut Creek. Rabbi Levine of Temple Isaiah will be co-leading the service. Positively Reinforce: Local marches that have taken a stance against anti-Semitism need to hear that you are pleased. Write a letter to the leadership and post on social media that you are participating because the local march has taken this posture. Encourage local marches to communicate with the national march that they are hearing from grassroots that participation is local and NOT national because the local marches are disassociated and disavowing anti-Semitism. Be involved: Beyond the Women’s March, work on the social justice issue of your choice, as a Jew and as an expression of your Jewish values. Don’t let anti-Zionism and hate divide the Jewish community or marginalize you from causes in which you deeply believe.